All you wanted to do was a simple Google search, and 20 minutes later you’re still trying to beat your best time — and your friend’s top score — on today’s Google doodle game, which puts you in the shoes of an Olympic hurdler racing for gold. But this isn’t a rare story. People love to interact with Google’s doodles, and that’s exactly what the search engine giant wants. 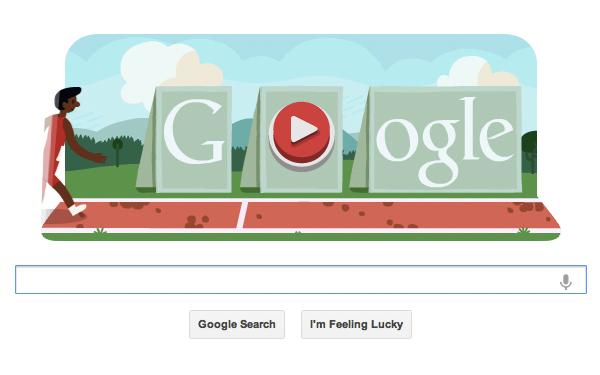 Although the true popularity of the hurdle doodle is too soon to tell, Google has been “thrilled” with the results so far and noted a high number of people sharing the results with friends. Another way gaming fans are adding a touch of customization to Google doodles is by adding a gamepad controllers to computers. A Google engineer details how to do so here. Although the doodles are typically a surprise to web users on the day they are revealed, the Google team often works on the designs for months. Google still has “lots in store still” for its Olympic series, including an interactive basketball doodle to coincide with the men’s basketball quarterfinals. Have a suggestion for a doodle? Submit an idea at proposals@google.com. Social networks not social anymore?